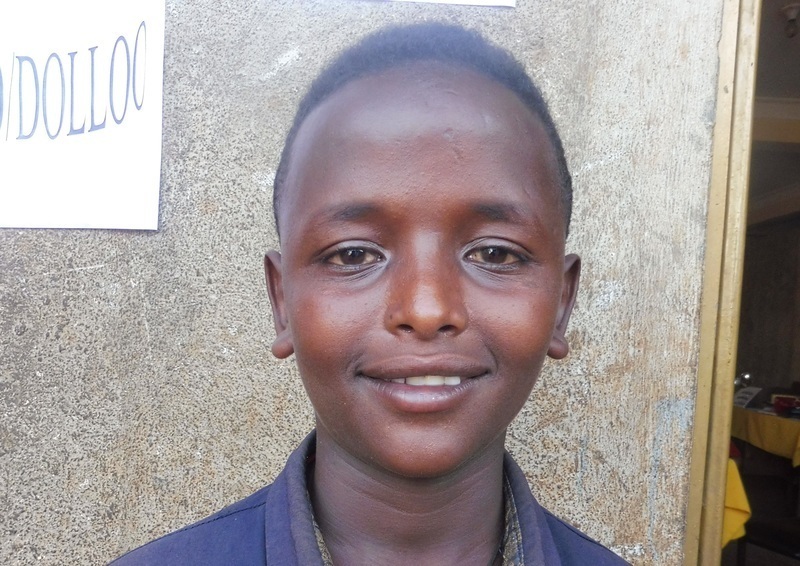 Natinael, age 11, lives in Dembi Dollo in Ethiopia, his story breaks our hearts but thankfully ends in hope. Natinael’s mother was HIV positive and when he was just a young baby, she sadly passed away due to complications from AIDS. Natinael was an only child and his father was left to take care of him alone. Tragically when he was just five years old, his father also passed away. At such a vulnerable age, Natinael had no one and was left to cope with his tragic circumstances completely alone. Following the death of his father, Natinael lived on the streets for two years, fending for himself. Although he was just a child, he had to survive by whatever means necessary and he sometimes by cleaned shoes to earn a meagre income. It may seem shocking that a boy so young was paid to clean shoes but in the town of Dembi Dollo, child labour is rife. Young Natinael was then taken in by a family, where he currently still lives. He pays rent to the family in exchange for a roof over his head. Unfortunately there is no bed to sleep on and he doesn’t receive any food so Natinael often looks for food that has been thrown out by restaurants. It’s a desperate way of life and Natinael lives day to day with little hope. Natinael has experienced more loss, responsibility and hardship than most children his age. When we heard about his situation, we accepted him into our care and are endeavouring to bring hope into his circumstances. Now a Stand by Me child at the Abdi Academy, he receives both breakfast and lunch each day at our school. He now doesn’t need to eat the restaurants' unwanted food and the constant worry of finding his next meal is gone. He is enjoying school and likes to study English, and with the hope of an education he can dare to dream. He told us that he wants to be a doctor. Natinael now belongs to our family. Our desire is to find Natinael a sponsor to stand beside him. A sponsor will provide for his educational resources and other needs through monthly support and also be able to encourage him through letters. We know the assurance that someone cares for him will transform Natinael’s life. Where life hasn’t treated him fairly – a sponsor will show that he is valued, precious and loved. If you would love to stand by Natinael, financially and through letters of encouragement, you can sponsor him here. If you would like to read more about child sponsorship please visit our sponsorship page. There are also many children like Natinael whose life can be transformed by the love and care of a sponsor. The children at the Rehoboth children’s home in Guatemala enjoyed an excursion to a beautiful forest. The whole family set off on the trip to see the stunning views and have fun together playing games in the park.